These are the winning tennis betting systems and tipsters that we have tested over an extended period and found to consistently generate a profit. We seem to be saying this quite a lot lately – but unfortunately the Top Tennis Tipster service has been discontinued. It hadn’t been going long so a shame to see it go so quickly, particularly as results weren’t too bad. But there you are, the world of tipping as ever is a very tough one and consistent profits are needed to maintain a membership base. Not much change for Top Tennis Tipster since our last update a month ago, with 5 points lost in that time. Overall that means they are 10 points down for our trial so far. They have continued tipping through the off season with bets in challenger and lesser events, which can be a little trappy. However with the main season getting underway in under a couple of weeks hopefully that will help things to pick up. It’s been a slow start to our trial of Top Tennis Tipster, with a loss of 5 points made so far. The bets come in quite a variety of tournaments, from the top ones down to Challenger events so you have to do a little bit of shopping around sometimes to find the best odds in the more obscure events. With the tennis season effectively ending today, there may not be a huge number of bets over the next few weeks but we will see if they provide selections in some of the end of season stuff. They say that things often come in threes and in the case of exciting new tennis betting services, that certainly seems to be the case for us. We have recently started trials of Tennis Goldmine and Ace Tennis Previews, both of which look like they could be successful services. Well today we have another one and it is rather appropriately called Top Tennis Tipster. Apparently it is run by someone who is a full-time, professional tennis bettor standing by to share his personal bets and experience with you. They cover match winners and correct score bets on action all around the world. The results so far look pretty strong, with over 50 points profit made since June at a return on investment of over 9%, which represents a more than doubling of the bank in just a few short months. Bets come in a variety of different markets including Challenger events and doubles matches as well as the more established ATP and WTA events. There is quite a high volume of bets, with around 80-100 per month, but that should be manageable for most punters to place a few bets per day. So we now have three promising tennis betting services to get stuck into and it will be interesting to see which, if any, of them, emerge as winners. We will post results here periodically during the trial so you can see how things are going. In the meantime you can check out Top Tennis Tipster here. We regret to report that we have received an e-mail from John Baker who runs Pro Tennis Tips stating that he is discontinuing the service. This is because he wants to concentrate on his other service, Banker Bets, which is going great guns. We support the decision and it is honest of John to admit he won’t be able to put the time in necessary to make it a success. If only more tipsters were that honest! After a great deal of thought and reflection while I was away I’ve come to the decision that I won’t be able to continue providing the Pro Tennis Tips service moving forward. My football betting service Banker-Bets is performing very well but also keeping me extremely busy, and in all honestly I just don’t see myself being able to consistently devote the same amount of time and energy to a second service on a daily basis. Tennis is a particularly difficult sport to follow to begin with as it requires frequent changes to your daily schedule as the tour moves around around the world through so many different time zones. Unfortunately it’s just too difficult to balance out these constant changes in a way that I can consistently send out tennis selections early enough for subscribers around the world to comfortably place the bets, while also continuing to meet the many demands of my football service. With that in mind, I have no intention or desire to offer a service to the public that has anything less than my full commitment, which is why Pro Tennis Tips will formally cease operations. So there we have it, this will go into the defunct pile and we too will concentrate on Banker Bets, which is doing really well. Pro Tennis Tips is taking a break from tipping until 2017. The results haven’t quite been as hoped and John who runs the service wants to take a bit of time to rethink the approach to picking selections. That is understandable given that the tennis season is nearly over now for the year. Looking at the results for the trial, since our last results update they have lost 5 points. That means they are now 11 points down for the trial overall. It certainly has been no disaster so far, but hopefully over the December break John can come up with some strategies for improving results in 2017. A bit of a downturn this month for tennis tipster Pro Tennis Tips, with 6 points lost since our last update. That means we are also 6 points down for the trial overall. Let’s hope things push on from here and we have a really good month in November. It has been a quiet start to our trial of Pro Tennis Tips, who are 0.42 points up so far to 1 point level stakes. The average odds so far have been 3.33, so we are talking about reasonable outsiders, which is what the service is about, rather than the odds-on shots that Banker Bets goes for. Anyway, nothing to complain about so far – let’s hope for some good profits to report back on in our next update. We recently completed an 18-month update on the popular sports betting service Banker Bets, giving it a continued recommended verdict and a four-and-a-half star rating. The service is run by a guy called John Baker who is a very honest and decent chap and has always been completely transparent about his results whilst we have been following Banker Bets. And those results have been very good, with a doubled bank for 2016 and 250% total profit over the past 2 years. Well now John is setting up a new service devoted just to tennis and given his record of success with Banker Bets, we are rather excited about its prospects. The service is called Pro Tennis Tips and actually takes kind of the opposite approach to Banker Bets. Where as the latter is focused on very short-odds favourites, with the average price around 1.28, this new tennis service will be based around finding longer-odds selections where a favourite has been mis-priced. John says it’s all about finding good value odds by identifying favourites that may be ripe for an upset for a variety of reasons and the bookies have priced up too short. He has started formal testing of this and though still in it’s infancy initial results are outstanding, with the service already 10 points up after just 9 bets. Interestingly John ran a tennis tipping service for 2 years and despite turning a decent profit and having several positive reviews published the service didn’t generate much interest, so he shut it down at the end of 2014 to focus 100% on Banker Bets, which had proven to be far more popular. But the new approach looks very interesting and with John’s thorough research and ability to spot value in a price, we do think this is worth following to see how it gets on. For one thing, the tips are being provided completely FREE for the time being, so no harm in signing up and seeing how things go! Let’s hope he can follow the success of Banker Bets with this new tennis service and produce a few aces along the way! You can sign up to the FREE Pro Tennis Tips here. Back in August we completed a three month trial of Tennis-Tips.co.uk and unfortunately gave them a failed rating after they finished 82 points down at the end of the trial. However, in fairness to the service we agreed to continue monitoring the results as they said the trial coincided with one of the worst periods in their history and they were confident they could turn things around as they had a long track record of success. We have followed the tips for a further four months now, giving us seven months of proofing the tips in total. So how have they fared? Have they managed to pick things up and improve on previous results? The answer is yes, they have made a significant improvement since our trial ended. In that four month period, they have made 188 points profit, a pretty decent effort. Overall then over the seven months, that means they are 106 points up to advised prices. We have found though that advised prices are quite difficult to obtain sometimes, so you may have struggled to match those totals if you had been following the tips. Realistically you would probably be looking at deduction of 30-40% off the advised price totals, so you might have been looking at around 60 points profit over the seven month period. On that basis though, we are happy to upgrade Tennis Tips from a failed rating to a NEUTRAL one and to recommend them as a tennis tipster. We will continue monitoring results and hopefully things will continue in the same vein, at which point we could consider moving them up to a passed rating. In the meantime though, it’s well done to the team at Tennis-Tips.co.uk for turning things around and good luck for 2017. It has been something of a struggle to find a winning tennis tipster here at Honest Betting Reviews, despite a good deal of searching and a number of trials. 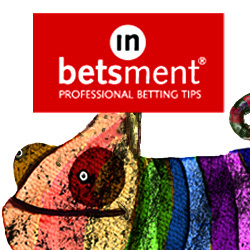 When we were approached to have a look at Tennis-tips.co.uk we were hopeful that we had found a rare winning system. Certainly their past results looked excellent and their attitude seemed very professional. However, during the trial things did not turn out as hoped and we ended up 82 points down at the end of three months of testing. As you can see from the graph below, things went quickly downhill and touched 140 points down before recovering somewhat towards the end. With a return on investment of -10% and a third of the bank being lost, it was a tough three months for them. It may be that we just caught this at a bad time though, as their previous results over three years look impressive. So we will continue to monitor their progress and see if things pick up in the coming months. Sadly for the time being however, we have to give this a failed rating until such time as the results turn around. Ease of use: Fairly straightforward to use, with tips sent through by e-mail each day, and also reminders in case you missed the tips originally. Availability of prices: The prices given in the initial e-mails when tips are sent out are best bookmakers prices, which is what we have used when recording our results. However, by using the exchanges you can often beat the advised prices by a few percent. Strike rate: The strike rate for the trial was 46%, which is well below the 66% stated on the website and explains the sub-par performance during our trial. Advised Betting Bank: No betting bank was advised, but we used a 250 point bank for the trial, which suffered a 33% loss over the trial and was 56% down at one point. Subscription costs: The subscription costs are £24.99/month for the standard package (which includes ATP tips only) or £99.99/month for the VIP package (which include ATP, WTA and Challenger Tour tips). We are disappointed that this trial didn’t turn out better as we were hoping to have finally found a winning tennis tipster. The results coming into our trial were very strong and we were impressed by the professional approach taken by Tennis-tips.co.uk. Sadly things didn’t turn out well though and with a loss of 82 points and an ROI of -10%, we feel we can only give this a failed rating. It may have just been unfortunate timing though so we are prepared to give this more time and continue monitoring it so see if results pick up. Certainly we like the new website and simplified approach, so they seem to be working hard at providing a good service. Let’s hope results improve for them as well and we have some more positive news to report soon. With Wimbledon in full swing – weather allowing – we thought it would be a good time to update the results of one of the tennis tipsters we are trialing at the moment. Unfortunately though the news is not good for Tennis-Tips.co.uk. They have continued to struggle and have lost a further 55 points since our last update a month ago. That means they are now 82 points down for the trial overall. It is a shame things have been such a struggle for them as we had high hopes for this one coming into the trial. With lots of action over the next couple of weeks at Wimbledon, hopefully they can turn things around. We will be back with our final review of Tennis-Tips in July. It’s been a tough start to our trial of Tennis-Tips.co.uk, who are 27 points down so far at best bookmakers’ prices. We are recording the results for both their VIP and Elite picks, which are the two subscription options for the service. The one thing we have noted so far from the service is that staking fluctuates around quite a bit, with staking between 1 and 10 points per tip. Early on there were a lot of 1 and 2 point stakes with the occasional 5 point stake, but recently there have been quite a few more 8-10 point stakes. So to follow this service we think you would need a reasonably-sized bank to cover these sometime large stakes. Anyway, let’s hope things pick up for Tennis-Tips by the time of our next update. With the clay court season getting into full swing and the French Open not too far away, it is a good time to be getting a trial of a tennis tipster underway here at Honest Betting Reviews. This one looks very promising with an excellent record of results shown on their website. The site in question is the straightforwardly-named Tennis-Tips.co.uk and has been tipping since 2013. The tips are in major men’s and women’s matches and come in a variety of markets including match odds, set betting, game handicaps and others. Normally when you are betting on tennis you expect to have a low ROI (return on investment) of perhaps 10% or below as the odds you are betting at are low, with the plus side being that you have a high strike rate. However, Tennis Tips appear to have established an ROI well above that level, with overall figures of close to 20% and an amazing 37% for their Elite Picks. That is with an overall strike rate of 56%, which is quite remarkable stuff. You can get a free trial for 30 days followed by monthly payments of £69.99 for all the tips, which if their past record continues, would actually be quite reasonable. For instance, from backing their tips since the start in 2013 with £100 stakes, you would be over £12,000 in profit. And of course with such a high strike rate there is the possibility of compounding your stakes, to make even more profit. The tips are sent out each day by e-mail and at the end of the day you get a summary of the picks performance with profit figures etc. So without further ado we will get the trial underway and will be back soon with our first update on how things are going. In the meantime you can check out Tennis Tips here. Winintennis is a tennis tipping service that provides tips on both men’s and women’s tennis. We subscribed to their main pre-match betting tips, which costs £59.95 per month. They also sometimes provide some free in-play tips and there is a dedicated in-running service costing an eye-watering…wait for it…£499.99 per month! The main thing to note about their pre-match tips is that there aren’t very many of them! We had just 17 tips in three months of subscribing. They ended up making 4 points profit over the trial, but we felt that once subscription costs are taken into account, it barely seems worth following the service for just 5 or 6 tips per month. So we will give Winintennis a neutral rating – perhaps if they could up the volume of bets and keep the strike rate at a similar level, we would consider upgrading to a passed rating. Ease of use: Good. Tips are sent out by e-mail and as we say, there are very few so following the service will take very little of your time. Availability of prices: Prices were generally obtainable and occasionally by using the exchanges you can beat the advised prices. Strike rate: The strike rate for the trial was 89%, which if there was a higher volume bets could result in strong bank growth. Advised Betting Bank: No betting bank was advised, but we used a 25 point bank for the trial which seemed sufficient as most of the tips are at odds on and with a high strike rate, should not be too risky. Subscription costs: Subscription costs are £59.95 per month for the pre-match tips. Winintennis is a low-volume tennis tipster that produced 4 points of profit during our three month trial. It is an easy service to use and we should always commend a service that makes a profit. However, with just a 16% growth of the bank in three months and once subscription costs are taken into account, we don’t think 4 points profit is quite enough to warrant an approved rating. So it’s a neutral rating from us for Winintennis. Well Winintennis must be the lowest volume service we have ever encountered. Nearly three months in and we have only had 17 bets. In total we are 4 points in profit, which isn’t too bad. However, with such a low bet volume and low points total, there is a serious question as to whether it is worth following once subscription costs are taken into account. Again there isn’t much to report for Winintennis. Since our last update a month ago there have only been eight bets and we stand exactly where we did a month previous, on 2 points up. As we said previously, this is a very low volume service and with generally short-odds selections, it would take a long time to build a bank with this one. So with just a month to go, it seems unlikely we will be much in profit come the end of the trial. Back in a month with our final report. A month into our trial of Winintennis and we don’t have much to report in all honesty. So far there have only been five tips, a very low number over the course of a whole month. The good news though is that all the five tips won (although four of them were at odds of below 1.4). In total that means they are 2 points up so far. The service seems to be more about trying to get you to sign up to their “heavily discounted” subscription for in-play tips at a whopping £499.99 per month. If that is “heavily discounted” we wonder what the full price would be! In addition, they send out free in-play tips, but weirdly these are mainly bets for individual games further down the line in a current match when you don’t know what the odds will be. The odds they post for those bets are often not actually available. So we are not sure what to make of those free in-play tips. But the main tips are in profit, so we can’t really complain thus far. With the tennis season in full swing now and the French Open slowly working its way towards a conclusion, there is a great deal of tennis action to bet on and much more coming up over the Summer. We have one trial of a tennis tipster that has just concluded – i.e. that of Tennis Bett – and one ongoing – that of TennisTips.co.uk. So we are pleased to have found another tennis tipster to test out in the form of Winintennis. This is a service that has been around for a long time – right back to 2001 according to their website, when they apparently tipped Goran Ivanisevic to win Wimbledon at 150/1! There are some fairly bold claims made on the website about being able to treble your bank in 3 months and that you can make £5,000 – £10,000 per month tax-free, so it will be interesting to see if they can achieve results like these under the spotlight of a live trial. There are no results published on the website, which can be a worrying sign but does not in itself mean the service is no good. There is a just a list of underdog winners, which doesn’t tell us very much. You can get free tips under a three-month trial, which are in-play tips. The paid subscriptions cost £59.95/month and for that you get the match tips. So without further ado we will get our trial underway and will report back soon on how things are going. In the meantime you can check out Winintennis here. It has been a difficult job finding a winning tennis tipster, despite tennis being supposedly one of the most punter-friendly sports to bet on. So we were interested to come across Tennis Bett, a service that had a good record coming into our trial of having doubled a 50 point bank over the year before our trial started. Unfortunately things didn’t quite take off during our trial, with a loss of 8 points being recorded over the three months. That represented a small loss of 16% of the bank. However, we were impressed with the professional way the service was run and our results matched those on the Tennis Bett website, so we can reasonably presume the previous results are accurate too. Things were going reasonably well but unfortunately just trailed off towards the end to finish in a loss overall. Ease of use: With tips sent by e-mail and normally provided early in the morning, there is plenty of time to get the bets on. There is an average of just over 1 bet per day, so the workload is minimal. Availability of prices: There is excellent liquidity in tennis, so by using the exchanges you can normally at least match, if not beat, the advised prices. Strike rate: The strike rate for the trial was 52%, which is solid enough and means losing streaks should be short, with the ability to bet at reasonably high stakes. Advised Betting Bank: A 50 point betting bank was advised, which seems adequate to cover drawdowns with a strike rate above 50%. Subscription costs: You can get the first 30 days for just €4.95, then the costs are €24.95/month, €49.95/quarter or €149.95 for a lifetime subscription. There aren’t too many tennis tipsters around when you compare them to the number of football and horse racing tipsters. So it follows that there aren’t too many profitable tennis tipsters either. We were hopeful we had found one in the shape of Tennis Bett, but unfortunately they didn’t quite achieve a profitable trial here at Honest Betting Reviews. However, we do see potential with the service and liked the way it was professionally run. With a loss of 8 points during the trial, it was not the end of the world and is certainly recoverable fairly quickly if things get going for them. So we will continue to monitor things and see if Tennis Bett can pick up its form as the tennis season gets going over the Summer. Things have picked up nicely for Tennis Bett with 4 points of profit added since our last update. That means they are now 4.61 points up overall for the trial. This is a nice simple service to follow and Jim who runs it certainly seems to know his stuff. Let’s hope things continue in positive fashion for Tennis Bett. It has been a slightly uneventful start to our trial of leading tennis tipster Tennis Bett. So far they are exactly +0.49 points in profit after around six weeks of our trial. It is a good time for the tennis season now with some top Masters Series events plus the run up to the French Open with the clay court events, so hopefully we will see things take off shortly. The service is nice and easy to follow, with bets sent out in the morning normally and analysis accompanying the selections. Back soon with more updates on how things are going for Tennis Bett. We are pleased to be commencing a new trial of a tennis tipster here at Honest Betting Reviews. Tennis tipsters are a rare breed – indeed, whilst the internet is swamped by legions of horse racing and football tipsters selling their wares to all and sundry, you have to search quite hard to find any tennis tipsters. The two tennis specialists we have tried so far – Tennis Trading League and Serve It Up Tennis Tips – unfortunately both failed three month trials. The other tennis tipster we have tried, Banker Bets, is actually more of a football tipster with some bets on the tennis during big tournaments etc. So when we were approached to trial Tennis Bett from a chap calling himself just Jim, we were more than happy to take up the offer. The results on the website look good, with a 50 point bank having more than doubled to over 100 points using level stakes over the past year. The long term strike rate is over 70% which is pretty healthy and should mean losing streaks are kept to a minimum. You can get a one month trial for just €4.95 followed by €24.95 per month, €49.95 per quarter or €149.95 for lifetime. So we look forward to getting the trial under way and seeing how this one gets on. It is slightly surprising that there aren’t more tennis tipsters out there, particularly as the bookies’ overround on tennis is low, markets on Betfair are very liquid and I seem to remember reading somewhere that tennis is statistically the best sport to bet on from a punter’s point of view. Anyway, let’s see if we can land our first winning tennis tipster here with Tennis Bett.